A Combination of Procedures to turn back the Clock after Childbearing. Pregnancy, while a beautiful experience, takes a toll on women’s bodies. Tummies, legs and breasts are all affected. The nine months of pregnancy — for some women much longer, if they are nursing — can alter the shape of breasts. Gaining pregnancy weight and then losing it can result in excess skin and fat that can’t be lost through simple diet and exercise. Stress and fatigue from being a mother can cause lines and wrinkles to appear on the face, adding unwanted years. While these cosmetic effects of pregnancy are to be expected, there is a solution for them. Dr. Rodney Green, a plastic surgeon in the Lyndhurst and Cleveland areas, offers mommy makeover, a set of body contouring procedures designed to restore or improve upon a woman’s pre-pregnancy body. What Does a Mommy Makeover Accomplish? Plastic surgeons recommend waiting at least three to six months after the birth of your last child, or once you have finished breastfeeding to undergo mommy makeover. Subsequent pregnancies can alter the results of the procedures, resulting in a return to the surgeon’s office to correct those results. Women should also be at a stable weight that is close to their ideal weight. Significant weight loss or gain after surgery can alter the results of the procedures. Also, many surgeons will not perform cosmetic procedures on women who are significantly overweight. What Is Involved in Mommy Makeover? A personalized treatment, mommy makeover may involve multiple procedures or just one. Breast augmentations and lifts, liposuction, tummy tucks, facial fillers and injections, and other procedures may be requested. Tummy tuck (abdominoplasty) removes loose skin on the abdomen for a flatter profile. During pregnancy, the abdominal muscles stretch and pull apart and excess fat and skin accumulates. This is especially true in women who have had multiple pregnancies. Simple diet and exercise may not be enough to eliminate the problem areas. A tummy tuck will remove excess skin and pull the abdominal muscles tight and give a smoother, flatter appearance to the tummy. Liposuction can remove excess fat from certain areas of the body, achieving sexier, more attractive body contours. This procedure is best performed on women who are near their ideal weight, but who have stubborn fat pockets that do not respond to diet and exercise. Breast lift corrects breast sag that often occurs during pregnancy and breastfeeding. The procedure can eliminate the extra skin in the breasts and tighten the skin that remains, resulting in firmer and perkier breasts. This procedure can also be performed in conjunction with breast augmentation if women also wish to enlarge the size of their breasts. Breast augmentation can help women who may have lost some volume in their breasts due to pregnancy or breastfeeding. A trained plastic surgeon can help women determine the size and shape that will be best to give them the most contoured and natural look. Facial rejuvenation can restore a youthful appearance in moms who may show signs of premature aging, stress and fatigue. Injections and facial fillers can reduce the appearance of fine lines and wrinkles, and augment features such as the cheeks and lips. Botox, Restylane and other dermal fillers can be used. After an initial consultation, the plastic surgeon will determine which product and procedure is right to achieve the goals the mother is looking for. Recovery depends on the procedure or procedures a woman has done. Botox and other non-surgical injectables require no recovery time and can be done on a lunch break. Surgical procedures take longer to complete. For instance, a tummy tuck and breast augmentation combination procedure will result in five to eight hours of surgery. Most women will be able to go home the same day their surgery is performed, but some who have extensive procedures may need to stay overnight. Usually a hospital stay can be avoided to keep the costs down. Sometimes the procedures are staged, rather than completed all at once. In most cases, recovery ranges from one to eight weeks. Always discuss recovery time with your surgeon before undergoing the procedure so you have an accurate idea of the help you may need post-surgery. The cost of a mommy makeover varies from surgeon to surgeon, and depends on the type(s) of procedure(s) chosen. The American Society of Plastic Surgeons (ASPS) estimates the average cost of a tummy tuck is $5,241, while a breast augmentation is $3,543. Botox treatment averages around $328. Many surgeons will offer discounts for multiple procedures, but the average cost of a mommy makeover is around $12,000. Dr. Green, a board certified plastic surgeon and member of ASPS, warns his patients of these discounts. If you have completed your childbearing years and would like to regain the confident body you once had, now is the time to consider consulting a plastic surgeon. 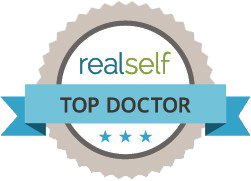 To learn more about mommy makeover, please contact Cleveland plastic surgeon Dr. Rodney Green. Schedule a personal consultation with Dr. Green by calling 440-527-5702 today.